If you would like to find more about the WaW project or to be part of our activities, please drop us a message and we will get back to you as fast as possible. WaW promotes the development of basic and transversal skills, particularly entrepreneurial skills, though learner-centred and innovative methods that include e-learning and opportunities for virtual collaboration and networking. 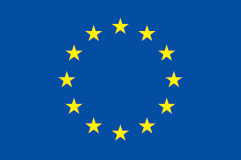 Funded by the Erasmus+ programme of the European Union. The European Commission support for the production of this communication does not constitute an endorsement of the contents which reflects the views only of the authors, and the Commission cannot be held responsi­ble for any use which may be made of the information contained therein.